Alex Iwobi has only five goals and six assists in 38 appearances, but his value is about more than goals and assists. 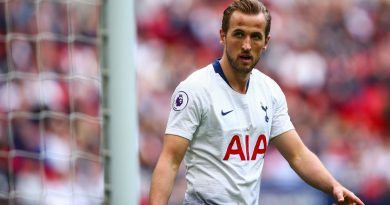 Football is very good at comparing young footballers to previous greats — there’s a desperation to look for the next Diego Maradona, the next Thierry Henry, the next Cristiano Ronaldo. But what happens when a footballer comes along who doesn’t quite fit an obvious template? Well, the simple answer is that such players’ talents aren’t always appreciated. Step up Alex Iwobi, Arsenal’s Nigeria international who isn’t really a winger, a central midfielder or a No. 10 and isn’t particularly prolific in terms of goals, assists or dribbles, and probably can’t be likened to anyone before him. 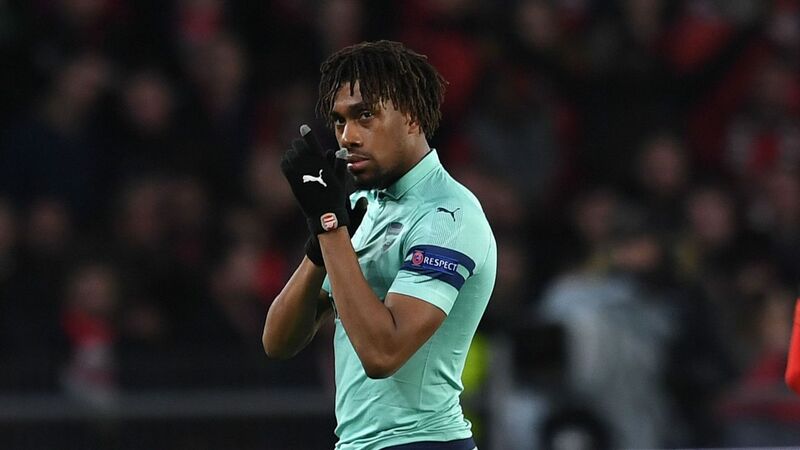 Nevertheless, Iwobi has carved out a useful role for himself at the Emirates, and has been one of the major beneficiaries of Unai Emery’s first season in charge. Arsenal have sometimes lacked an obvious tactical identity this season under Emery, who has regularly chopped and changed in terms of system and personnel, but arguably the crucial feature has been the importance of an overlapping full-back. In the first half of the season this was Hector Bellerin, whose overlapping runs weren’t simply an added bonus of Arsenal’s attacking play, but often the entire purpose of it. More recently, in Bellerin’s absence, the key man has been left-sided Sead Kolasinac. Again, the Bosnian has often been Arsenal’s chief creative threat, with well-timed storming runs and balls across the face of goal. The crucial component in this attacking threat down the left has been Iwobi. On paper, Arsenal have often called upon Iwobi because he’s more direct than Arsenal’s other attacking options, capable of holding width and dribbling with the ball. His substitute appearance in a nervy 2-0 victory over Watford at the start of the campaign, for example, completely transformed Arsenal’s attack. He’s been so important because he combines those occasional contributions with intelligent movement, selfless link play, and — particularly crucially — clever body positioning. That final quality has become particularly revered in recent times. At the recent Opta Pro Conference in London — a meeting of those working in football analytics from across Europe — one of the key presentations was given by Carlos Rodriguez, an analyst at Barcelona. He explained how Barcelona are placing increasing emphasis upon using technology to track the body position of players during matches, and measuring this in quantitative terms for the first time. “Incorporating the orientation of each player during the match would generate multiple benefits to improve current space-time analyses such as space control, pass probability and defensive pressure,” Rodriguez explained last year on the “Barca Innovation Hub” website. “Play the way you’re facing” was the old clichéd advice. Really, it’s about facing the way you should be playing the ball, and this is where Iwobi excels. He boasts a great ability, whether natural or learned, to receive the ball with his body in the right position to play the next pass, usually to the overlapping Kolasinac or the alternative left-back, Nacho Monreal. Consider, for example, the way he linked with Monreal for Alexandre Lacazette‘s opener in a 5-1 thrashing of Fulham early in the season. Or the way he slipped in Kolasinac to cross for Pierre-Emerick Aubameyang’s winner at Bournemouth. Or with Monreal again for Henrikh Mkhitaryan‘s header at Southampton, or with Kolasinac again to win a penalty against Cardiff. Alex Iwobi is a player who rates well in analytic circles due to his movement and link play. Iwobi hasn’t recorded an assist, let alone a goal, for any of these contributions. Some of the passes have been relatively simple. But that’s nevertheless what Iwobi excels at: the simple, unfussy stuff, the bringing the best out of others. 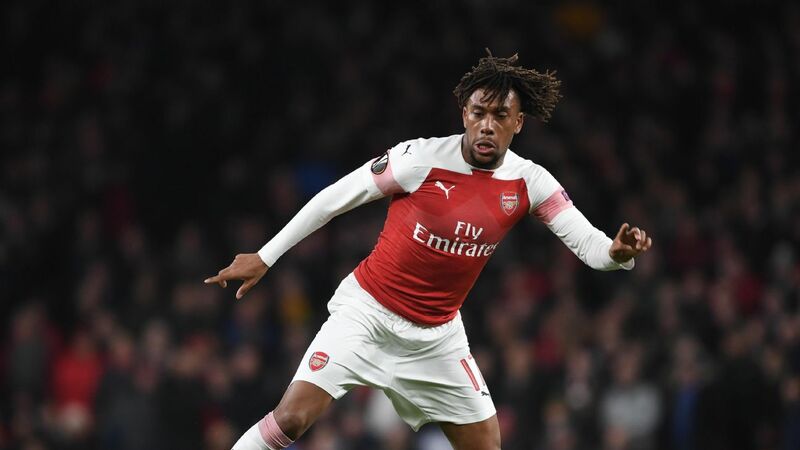 It’s not quite what you expect from a 22-year-old nephew of Jay-Jay Okocha, arguably the most extravagant, pure entertainer the Premier League has seen, but this is Iwobi’s role: the full-back enabler. Players are still largely judged to fit the templates of established systems — traditionally 4-4-2 in England, although No. 10s who suit a 4-2-3-1 and wide forwards who can play in a 4-3-3 have also become appreciated. But the rise of the 3-4-3 system over the past couple of seasons, popularized by Antonio Conte’s Chelsea, means a slightly new role: the position that doesn’t have a name, somewhere between forward, winger and No. 10. Inside-forward, if you like. Eden Hazard remains the master of that position, and his link play with the overlapping Marcos Alonso was particularly useful for Chelsea. But then Hazard excels wherever: out wide, as a No. 10, sometimes up front. He’s not necessarily built for the role. Iwobi seems more of a specialist; albeit a specialist for a position that doesn’t actually have a name. It’s not like opening up space for a full-back is a new concept, of course. It’s a fundamental part of football, and one of the many qualities boasted by someone like David Silva, who spent much of his time at Manchester City drifting inside from a wide starting position. But then Silva offers several other obvious qualities: most obviously his prolific assisting. The fact he combines well with a full-back is something of an afterthought. For Iwobi, it’s his main quality. He doesn’t offer an incisive final ball regularly, but he’s worth using because he maximizes the contribution of the player behind him. Players often appreciate a different type of player than supporters and pundits. The fact Emery actively asks players on their preferences for playing alongside teammates is intriguing, but the answer provided by Kolasinac and Monreal is unsurprising. Both have thrived when playing behind Iwobi, who still lacks complete acceptance from supporters. A manager as obsessively analytical as Emery, though, will look past the raw end product, and be looking at stats involving passing combinations, xG chain and — perhaps even — body orientation. Modern stats, for a modern type of player. One day, perhaps we’ll be on the lookout for the next Alex Iwobi.